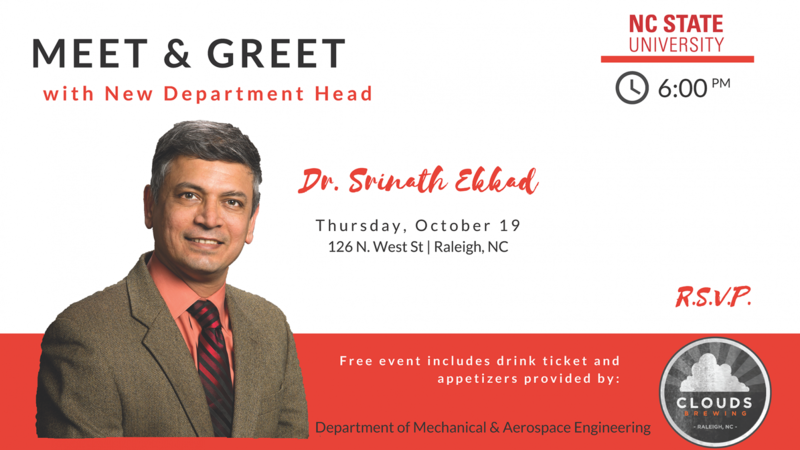 This Thursday, October 19th, help us welcome new Department Head, Dr. Srinath Ekkad. A free drink and appetizers will be provided. RSVP HERE.